Introducing the Offensive Security Penetration Testing Labs (OSPTL), a safe virtual network environment designed to be attacked and penetrated as a means of learning and sharpening your pen testing skills. The OSPTL was created using our years of experience running the Offensive Security Training Labs, as well as the large number of pen tests we have conducted over the years. This allows us to mirror interesting scenarios and introduce them into our hosted virtual labs. 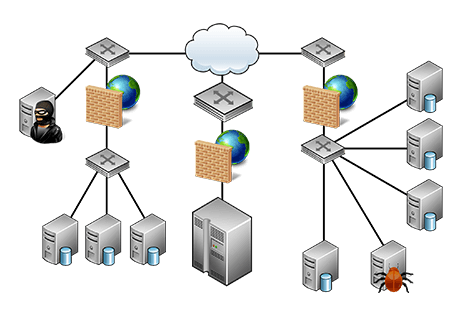 The virtual labs network is rife with both public and private vulnerabilities, each designed to deliver a specific educational experience to attacking participants. Our hosted virtual labs networks are rich with various Operating Systems and attack vectors, allowing participants to utilize and hone a broad set of Offensive Security pen testing skills. Many vulnerable machines have non-standard configurations, often forcing participants to dig deep into the vulnerabilities in order to complete their task, rather than blindly using automated tools. This in turn provides for a richer and significantly more educational experience. Simply pointing existing attack tools at the targets and clicking “go” won’t work. Great care has gone into creating a network of over forty systems consisting of multiple operating systems. These are configured to represent a range of installations – from locked down modern servers to classic configurations still found in networks everywhere. The systems are deployed in a manner that mirrors real-world situations, complete with network segmentation and IPS protected “High Security” zones. All the scenarios generated are based on real-world exploitations that have been conducted for various customers to ensure your exposure is as genuine as possible. The hosted virtual labs are created as a “next-stop” for experienced pen testers and those that have completed the OSCP examination. Built to be a challenging environment, our pen testing virtual labs can frustrate even the most confident of pen tester. A fully hosted virtual pen testing lab solution can be purchased on an exclusive basis. This provides a dedicated environment of your labs along with a management account to use as you see fit. The management account has a wide array of functionality such as the ability to revert all virtual systems at any time and control what systems are accessible per user. User account progress can be tracked by the management user to identify what systems have been compromised. Access to our hosted virtual labs can be purchased in 90, 180, and 365 day increments. Note: Due to high demand of the corporate dedicated solution, we have a lead time of up to two weeks for new deployments. Feel free to contact us for additional information using the button below. Currently lab access is only available for corporations, and not yet offered for individuals. For individuals interested in the Penetration Testing with Kali Linux (PWK) course but are worried they are not yet prepared, please take advantage of our Free Kali Linux Training. This training will help individuals gain a solid understanding of administrating Kali, leading towards the exciting KLCP certification and is a great starting point in preparing for the PWK. And best of all, its free! Note: Public shared labs are currently being offered to select Offensive Security certified individuals only. Access to the general public will be announced via our social media channels, so stay tuned. Looking for an authentic pen testing experience? 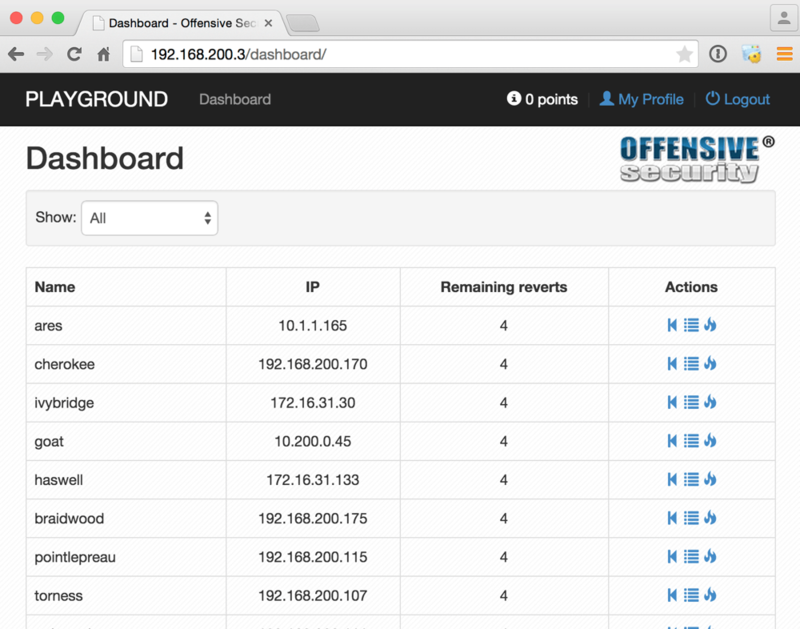 Try the Hosted Virtual Labs from Offensive Security, and sharpen your pen test skills today! How would you use Enterprise Labs? Note: These are offered for corporations only at this time. Personal Labs will be offered in the future. Please contact us directly if you have more questions. Ready for our Virtual Labs? Gain a hands-on, professional pen testing experience through the use of our virtual labs. Go above and beyond to sharpen your security testing skills and protect your company or organization. Contact us to learn more about access and availability to our pen testing virtual labs, the OSPTL.